If you have any questions or concerns regarding your condition or treatment, feel free to contact Dr. Hong’s office in Emmaus at 610.965.1000. Below are a list of questions our patients frequently ask us and our answers for each. It is not uncommon that on your very first visit as a new patient, the services will be limited to a comprehensive exam. 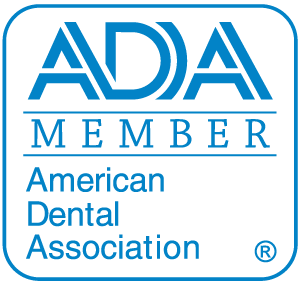 Our primary focus on this visit is data collection and get to know you and what your dental needs, questions and expectations are. However, if you have an emergency need, we will promptly take care of that first. Yes we are, and we’d love to see your family and friends as well! We do see children and suggest early prevention and check ups. Little smiles often need a special touch to truly feel comfortable. With 6 month check ups and gentle cleanings, we’ll be sure to guide your child to a lifelong path towards a healthy mouth. We accept all PPO and Premier insurance plans. Please call our office to see if we are an in-network or out-of-network provider for your specific insurance plan. Even if you are out-of network we can calculate what that means to you and what your co-pays are. Metal-free fillings provide a natural appearance and add strength and durability to the tooth in a conservative way. They are esthetic and bond better to the tooth structure, making them an ideal restoration option. These fillings are composed of a composite resin material that can be color-matched to blend naturally with the rest of your smile. We adhere to the strictest OSHA guidelines to maintain a clean and sterile working environment. I’m unhappy with the way my smile looks. Can you help me? For patients with smiles that are healthy but lackluster, our cosmetic dentistry services can provide you with the dazzling results you’ve been looking for. Whether it’s something minor as a chip on a front tooth, discolored or stained teeth, or wanting that “Hollywood smile,” the team at Dr. Hong’s would be happy to sit with you and discuss what your goals and treatment options are. My gums tend to bleed when I brush. Should I be concerned? Bleeding gums is almost always a sign of a problem. The most likely cause is periodontal disease, a common ailment that can have negative consequences for your teeth and gums. Sometimes bleeding gums can be caused by failing restorations that trap plaque and bacteria. That is why periodic cleanings, x-rays and check ups are important to your dental and overall physical health. I have heard that gum and tooth disease have a negative impact on your overall health. Is that true? There have been numerous studies that possibly show a correlation between gum disease and heart disease. Some studies have gone further and showed a link between diabetes and periodontal disease. Plus, more and more physicians are making sure their patients are “dental infection free” before having certain medical procedures performed. Recent literature have shown infections in the mouth potentially affecting joint, knee and hip replacements. The oral cavity is part of the body, so a healthy mouth leads to an overall healthy you.